This week Saturday the Jack Daniel’s Music Scouts finale takes place at Turbine Hall where the winner of their talent search comes to an end – and we’re rooting for HIP HOP no doubt! 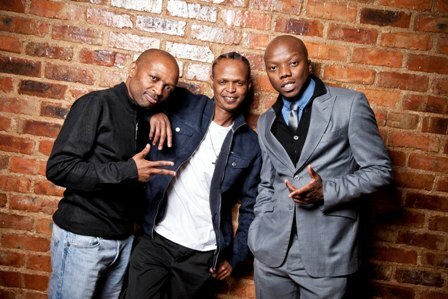 T-BO Touch, DJ Vinny Da Vinci and Mandla ‘Spikiri’ Mofokeng partnered up with Jack Daniel’s to help scout for the hottest talent in Mzansi, whether unsigned musicians, vocalists or DJs. With over 1,300 entries received, 12 semi-finalists were announced, and then it was down to the final three: Nqobizizwe Buthelezi aka iSesh, rapper Lection, and jazz band Velvet Suite Lounge who will go head to head at the finals. Tickets are R150 and can be purchased via the JD Facebook page at Facebook.com/JackDanielsSA. Selected from a combination of public votes via the Jack Daniel’s Facebook page and valuable input from the JD Music Scouts themselves – the search for authentic South African talent is almost at its pinnacle. The winning artists, as selected by the JD Music Scouts, in addition to receiving exposure through the campaign, will win a trip to the US to discover the history of hip hop and house music.